It is already March 8th so it is time for my February Empties post! Here it is! (or here they are)! 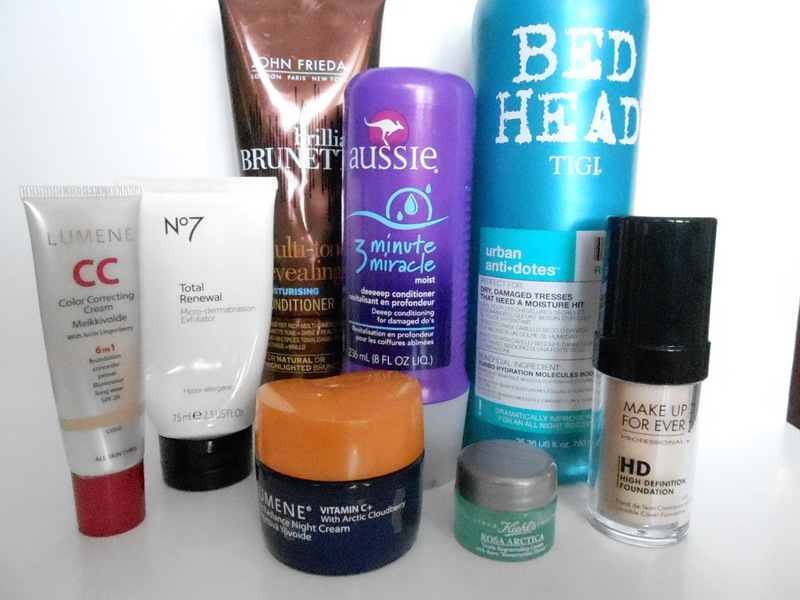 This month’s round up features a lot of hair conditioner–funny I ran out of so many all at once. Not surprising though, considering the length and severity of this winter, I’ve been slathering my body, face and hair with moisture at every opportunity. I’ll start with those. John Frieda Brilliant Brunette Multi-tone Revealing Moisturising Conditioner: This is one of my all-time favorite drugstore hair buys, it works well and hydrates and detangles without weighing my hair down. 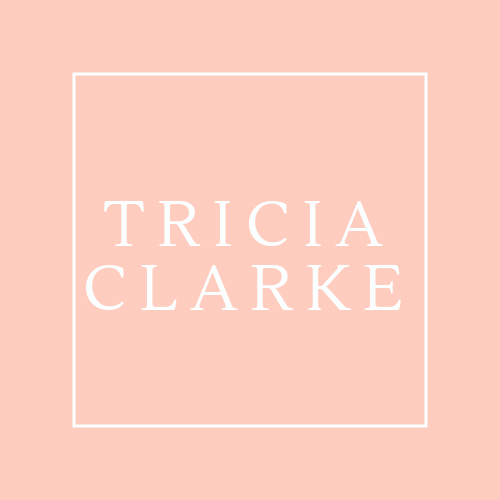 It is also what I was using when I started dating my now-husband, and because scents are so evocative, whenever I use it I am immediately taken back to those pre-date showers when I would be getting ready and so excited to see him again! Will I re-purchase? Absolutely! Bed Head by Tigi Urban AntiDotes Damage Level 2 Conditioner: I found this massive bottle at TJ Maxx in early November, having used it previously on my stylist’s recommendation. I truly love this conditioner but I don’t know if it is still made! It smells so freaking good my husband started using it on his curly, coarse (read: grey) hair and so we went through it pretty quickly. I hope I can find some more! Will I re-purchase? Totally, if I can! Aussie 3 Minute Miracle Moist Deeeep Conditioner: This was hanging out in the shower for a looooong time. It is decent thick, rich conditioner, found in most drugstores, but Aussie reformulated their products a few years ago, and I just don’t love the smell of the new ones. I think the old formulas are still available in Europe so I will be looking next time I am in Ireland! Will I re-purchase? Yes, because it is a good, basic deep conditioner, but I will try other brands for fun first. Moving right along, out of the shower now! No. 7 Total Renewal Micro-dermabrasion Exfoliator: My enthusiasm for this scrub waned as I continued using it. It feels a bit too much like a micro-derm treatment to be enjoyable for twice weekly use. Read my full review with edits here. Will I re-purchase? Probably not, but I will try other No. 7 products. Lumene CC Cream in Light: This CC cream was my second favorite makeup discovery of 2013 and I have recommended it to scores of people. I wore it so much this summer, it is lightweight, but gives good coverage and made my skin look bright and healthy. It has an SPF of 20 and is like a tinted moisturizer on steroids. The only drawback is the slightly strong fragrance which I don’t really mind but which might be a problem for those with sensitivities. Will I re-purchase? Totally. Lumene Pure Radiance Night Cream: Lumene actually sent this to me to try after my review was chosen for a feature on their Facebook page. It is a totally satisfactory night cream and left my skin comfortably hydrated, and absorbed quickly. Read by first thoughts on it here. I can’t really tell if it helped brighten my skin, then again, this never-ending winter has been rough so I don’t really know what could have helped! As with the CC Cream, there is a stronger fragrance than I usually enjoy in my skincare, but it is a good drugstore option for a richer, quick-absorbing night cream. Will I re-purchase? Maybe, but not right away. I want to try the new Reviva line I keep hearing about first. Kiehl’s Rosa Arctica Youth Regenerating Cream: I remembered I had a sample of this when I was starting to get bored with my Lumene cream. The side effect of being a beauty addict is one frequently becomes bored and is always looking for a new favorite! As you know, I love Kiehl’s and this is no exception. I actually had a full size tub of it at one point, but that was pre-pregnancy and my skin was different, so I gave it away! BOO! Now I love this and want a big jar again! Will I repurchase? Yup! Add it to my wishlist of Kiehl’s products! Make Up Forever High Definition Foundation: Hands down, best thing I discovered last year, this foundation is great! Full coverage, but feels really lightweight on the skin. It’s very easy to blend. The pigmentation is also such that it is easy to build–making modern foundations light years better than their predecessors. I wore it almost every day since I purchased it in early December, and just ran out of it this week. It comes in a wide range of shades and is worth the price–read my full review here. Will I re-purchase? Yes! Thanks for reading ladies! Have you used any of these products? Have I piqued your interest to try any of them? Let me know! I just nominated you for a Liebster Award! Click her for the details! http://thebelleofbeauty.wordpress.com/2014/03/14/the-liebster-award/ Love your blog!